Session submissions for 2019 are still open - and we want to hear from you! Alan has over 25 years’ experience of working with global companies and governments on sustainability. He joined the world’s largest Steel company ArcelorMittal in 2014 as their General Manager for Sustainable development and Corporate Responsibility and since then has helped develop a sustainability framework ranging from products to process. He is Co-chairman of ResponsibleSteel and sits on the steering board of the Initiative for Responsible Mining. 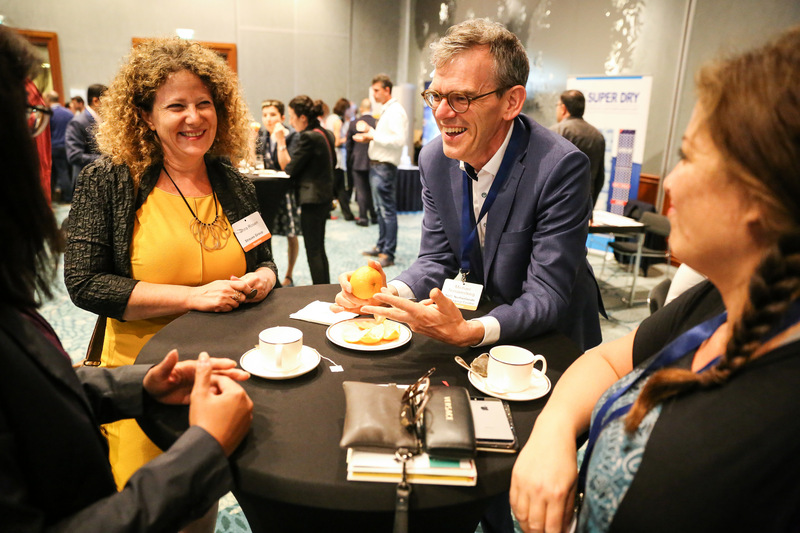 Alan created and chaired the Ebola Private Sector Mobilisation Group, which was a collaboration of over 100 companies sharing best practice and coordinating the corporate respond to Ebola in West Africa. For this he was made a Clinton Global Citizen honouree in 2015. Previous to that he was Sustainability Director for Business and the Community (BITC) where he oversaw all their Corporate Sustainability Programmes. He advised the Virgin Group on sustainable development for seven years. Previously he has worked with global companies as diverse as B&Q where led their entire Cr and Sustainability programme for 10 years. He was instrument in founding and developing the Forest Stewardship Council. He held similar roles in the Parent company Kingfisher and SABMiller, the multibillion brewery company. For nine years he was a commissioner with the Sustainable Development Commission and he introduced the concept of "choice editing" into the product policy debate. He is a Senior Associate of the Cambridge Programme for Sustainability Leadership. He was awarded the OBE in June 1998, in 2005 the US-based Rainforest Alliance presented him with a lifelong award and in 2013 he was made an Honorary Fellow of the Society for the Environment. Experienced Design & Packaging Manager with a demonstrated history of working in the consumer goods industry. Skilled in Fast-Moving Consumer Goods (FMCG), Retail Packaging (primary, logistic & e-commerce packaging), Business Development, Marketing Strategy and cross-functional Team Leadership. Worked closely with production, QA, purchasing, design agencies and international teams, where successfully planned from concept stages, design and implemented packaging for FMCG brands. Brought savings through value optimization projects. She loves to monitor global trends and manage innovations. Speaker at many international conferences and fairs, author of a series of articles for the quarterly World of the Cosmetics Industry. Strong interpersonal and communicative skills combined with impressive professional experience, allow her to focus on solving problems, creative discussions and thinking about the customer's needs. She works with passion and heart and is a great enthusiast of new product development strategies. Privately a fan of painting on silk, tango dancing and travelling with a backpack in a wild area to look for inspiration. Chris has worked for PepsiCo for 27 years, predominantly in Supply Chain and Financial leadership roles. Having worked as a supply chain leader over the last decade, sustainability has been a critical part of Chris’ role and three years ago he formally took ownership of leading the sustainability agenda as part of his responsibilities to transform PepsiCo’s Europe’s supply chain. In this role, Chris leads PepsiCo’s work to embed sustainable thinking, practices and technology into the European supply chain. A key area he is driving is to establish end to end sustainability thinking into core decision making and processes across our business, alongside partnering with all stakeholders to make sustainable choices more accessible. I am part of ABI Global Packaging Innovation team and responsible for Aesthetic decoration on primary packs, ‘shaping’ the future looks of beer packaging! I have a fantastic job right where technical Packaging development crosses with Innovation. Whether it's doing developing digital printing, tactile executions, leading FEI projects on finishing looks or colours. It's the sweet spot where my passion meets my skills and what is needed by my FMCG industry. With a 10+ year career in Packaging, R&D and Supply, I'm happy to still be challenged every day. Gorkem Gor is the Head of Graphic Design & Product Communication at Arcelik Group. As a Team, they are responsible of designing all necessary graphic needs like on product prints, graphic user interfaces (GUI), packaging and user manual visuals for the product range of Arçelik Group brands. (Arçelik, Beko, Voltas Beko, Grundig, Blomberg, Elektrabregenz, Arctic, Defy, Dawlence, Flavel, Leisure, Altus) He graduated from Marmara University, Faculty of Fine Arts, specializing in Graphic Art and Design. He has an experience in brand identity, print, packaging, and digital media over 10 years of experience. He experienced working at local agencies and IKEA Turkey organization. Ilana Taub is the co-founder of SNACT. She started her career in sustainability as a Sustainable & Responsible Investment Analyst for an asset manager and graduated from Imperial College London with an MSc in Environmental Technology, specialising in Business & Environment. Ilana has worked for ICAEW's (The Institute of Chartered Accountants in England and Wales) sustainability team lobbying for finance to play a bigger role in sustainable development. In 2014, she was selected as a London Leader by the GLA (Greater London Authority) and the Mayor of London, and became an Unreasonable Group fellow in 2017. John founded Little Big in 2001 with the desire to create a different kind of branding firm; dedicated to always doing what’s right for clients while fostering an environment where employees can thrive and truly find balance. Under his leadership, LBB has become a force within the industry. John’s 25+ career has included time spent at some of the most respected branding consultancies in the world, and he’s been instrumental in successful brand initiatives for clients like Burger King, Coca-Cola, KIND, Gillette, Johnson & Johnson, Novartis, Unilever, Campbell’s, and Sun Products Corporation. In 2011, he was named to GDUSA’s prestigious “People to Watch” list. John is a frequent speaker at industry conferences like The Dieline, Packaging that Sells and Package Design Matters, and enjoys mentoring and guest lecturing at colleges like F.I.T. His work has won every major design award and is regularly featured in industry magazines, annuals, and books. Within the Philips packaging team, Judith works on global packaging design projects within the Beauty category. She is responsible for packaging development from idea to production, in which she closely collaborates with M2O, communication design, product development, and marketing. Together with M2O and communication design she is responsible for the Beauty packaging vision and packaging roadmap. Before joining Philips, Judith obtained her MSc degree in Industrial Design Engineering – with a specialisation in Management of Product Development. During her studies she interned at a.o. Grolsch and Cloetta. As EVP for innovation at CO-RO I lead the innovation agenda for the business. This includes strategic brand creation, R&D, fuzzy front end, regulatory and the PMO. I am leading the change to an innovation culture at CO-RO pushing innovation thinking into everything we do, everywhere. Morten Sivertsvik is currently research director in Nofima department of Processing Technology. He has a PhD in food science (NMBU, Ås, Norway), MSc in chemical engineering (NTNU, Trondheim, Norway) and packaging economist (DNE, Oslo, Norway). Morten has been working in Nofima for 27 years as a scientist or research leader and has been involved in numerus seafood processing, preservation and packaging related innovation and research projects. Morten has authored approx. 50 peer-reviewed papers, several book chapters and has participated in among other in the following ongoing or recent international projects; n-Chitopack, ForBioPlast, SafeFishDish, ActiBioSafe, FurtureEuAqua. Niels Prinsen is a senior structural packing designer with over 19-years’ experience in packaging development at Philips. Currently working for different categories like Beauty, Sleep & Respiratory, One blade and Coffee. He is an expert in end-2-end structural packaging design & development from technical design, production and mark introduction at retail and online. 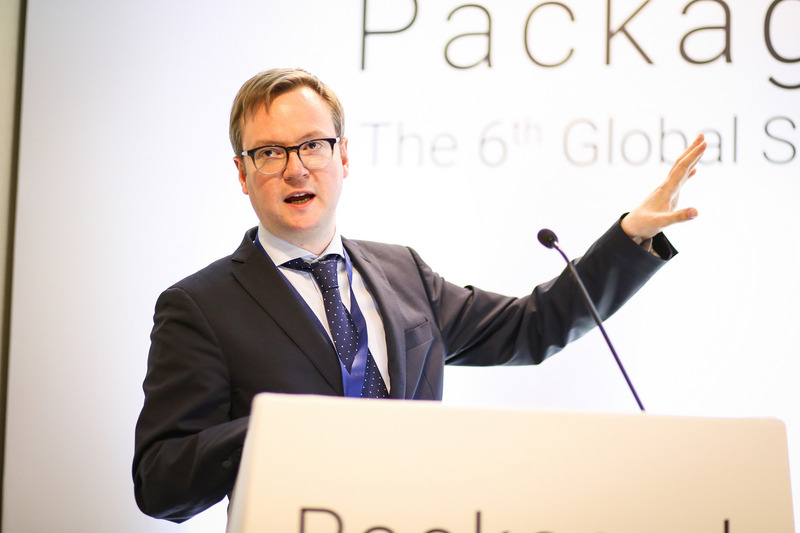 Niels van Marle has been an packaging expert at the Netherlands Institute for Sustainable Packaging (KIDV) since 2017. Niels used to work as an packaging innovation manager for companies like Philips, Mars, Hero and Jacobs Douwe Egberts. Overtime, sustainability became a more prominent part of packaging innovation. At KIDV, Niels develops tools and supports producers and importers of packaging materials to keep up with latest developments and make their packaging portfolio more sustainable. 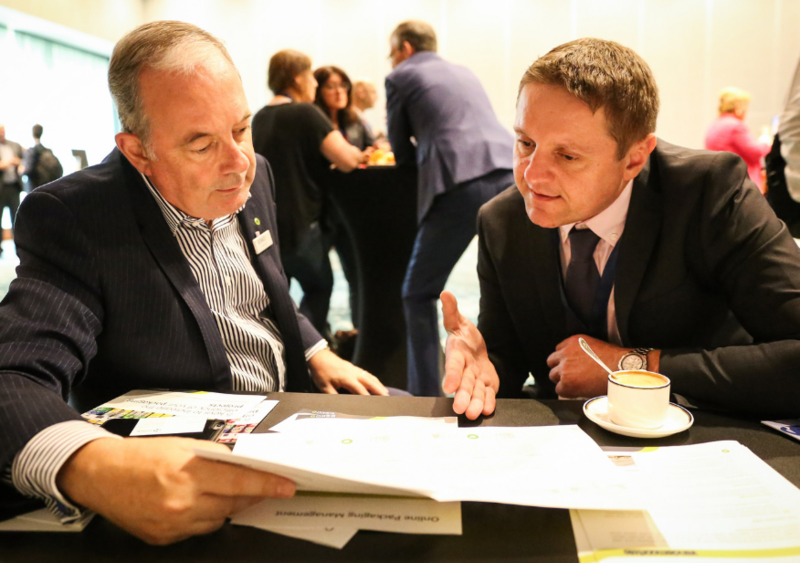 The Netherlands Institute for Sustainable Packaging (KIDV) is founded in order to establish a circular economy for packaging, by developing and sharing fact-based knowledge with all partners in the packaging chain. This is vital while ‘closing the loop’ asks for cooperation by all parties, leading to new business opportunities, less dependency on raw materials and environmental gains. Peter comes to Esko Brand Solutions with more than 20 years of experience in global technology business. Most recently he served as General Manager, BLUE Software. Immediately prior, he spent more than 10 years leading product management and marketing functions within the Kodak family, including Kodak’s Output Devices and Workflow Systems. During this period, he solidified an enviable sales and marketing management track record. Santiago Navarro is a serial entrepreneur. His first start-up in 2011, Vinopic Wines, was an online retailer which was the first to use science to judge and score wines for their intrinsic quality. Following this, he went on to co-found Nightly.travel, the world's only hotel booking site to split a traveller’s stay across two hotels to enable them to save as much as 70%. Santiago’s now focused on Garçon Wines, as CEO and co-founder, innovating the 35 billion bottles used annually in wine and aiming to make flat, sustainable bottles the dominant primary packaging in wine. Tony Waite is Sales Director Packaging at Tata Steel Europe and the current President of APEAL, the Association of European Producers of Steel for Packaging. He joined Tata Steel in 1999 and has held a number of commercial roles within the organisation looking after Original Equipment Manufacturers from Industrial Packaging, Radiators, Domestic Appliances and Automotive tiers. Prior to his current role, he was Regional Head for EIMEA based out of Dubai where he looked after Tata Steel operations in the region and was responsible for all the sales of products into the region from both the European and Indian operations. He holds a BSc in Technology and Management, as well as an MBA from the University of Warwick in the U.K.
Ease, affordability, and convenience: these concepts that have quickly come to the forefront of the way that we operate and prioritize. Yet these priorities have come at odds with our growing environmental crisis, where individuals are starting to get curious about what they can do to lighten their environmental impact. Defra has launched a series of consultations intended to ‘overhaul’ the UK’s waste system. Great discussions with engaged and knowledgeable peers, I left with new insights. The range of speakers was excellent and the talks exceptionally well presented. 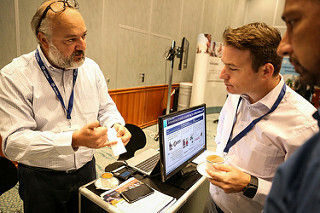 It was a very valuable opportunity to meet up and network with both old and new contacts which is always important. It also enables me to visit Amsterdam which is one of my favourite cities! Find out more about Commercial Partners opportunities here.